With spring- and spring cleaning- upon us, it’s time to set aside those decadent winter cocktails to make room for fresh new ingredients to get creative with. And while we love topping off our cocktails with a wide assortment of herbs, there’s one stunning accent that will really help your cocktail bloom. 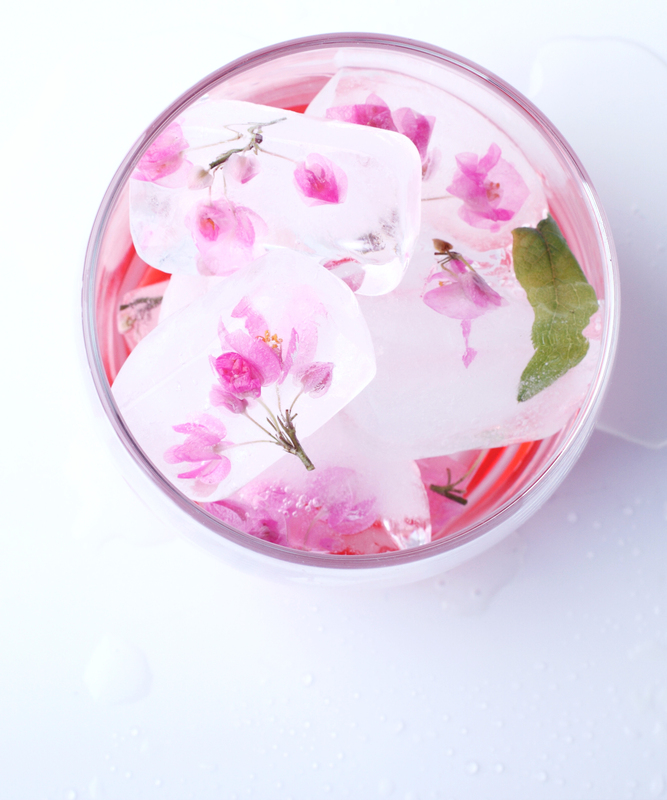 These edible flower ice cubes are a beautiful way to brighten up your drink (and raise your hostess cred). 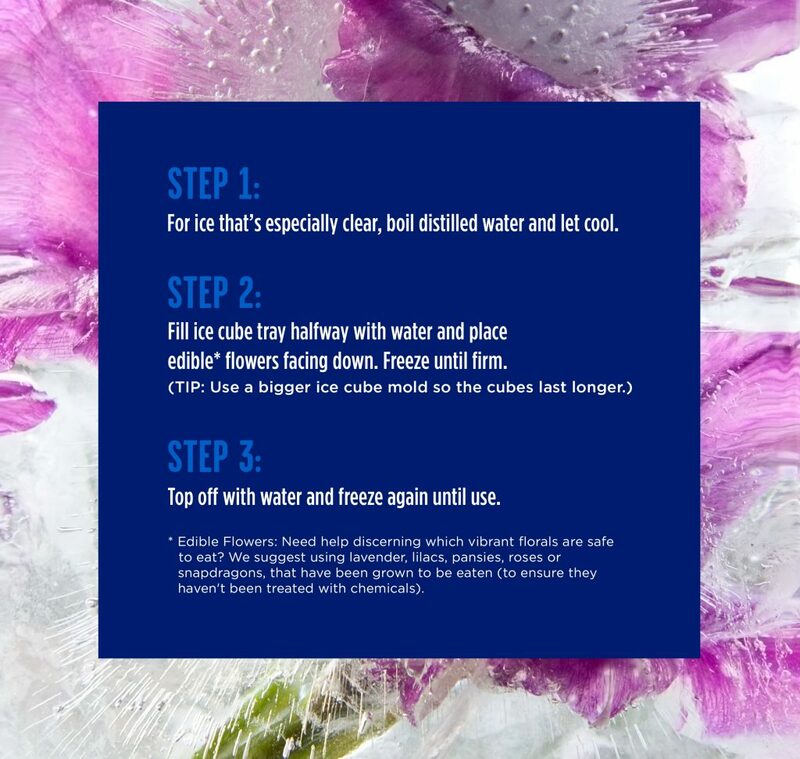 Simply follow our guide to freezing your favorite florals for a cocktail that looks almost too pretty to drink- but you totally can. Voila! With these simple steps you’ve crafted yourself a work of art. Now let your masterpiece shine in a our signature Lemon Press or Vanillas Sprig.